Since the rise of modern consumerism, political campaigns have tried to market their candidates like soap. The positioning and branding of a candidate, especially a presidential candidate, in many cases is now performed with the discipline of commercial product launch. 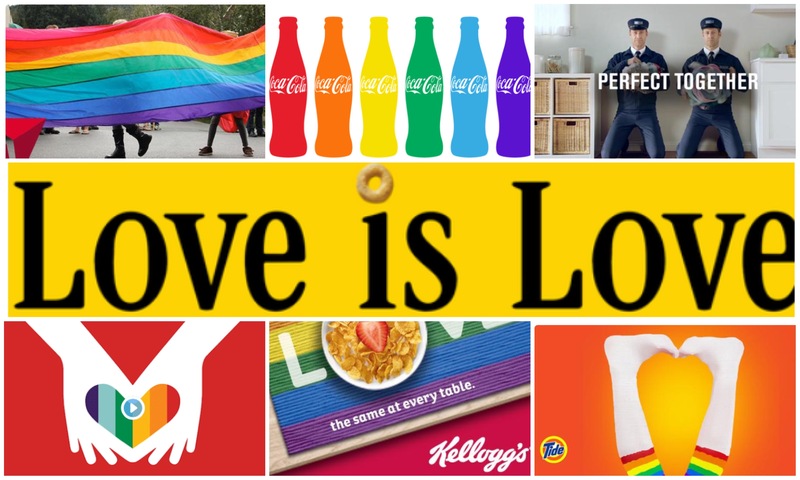 They are the ultimate consumer packaged goods. 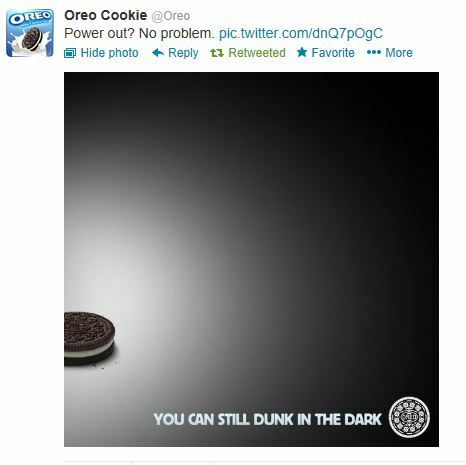 In 2016, the presidential campaigns have become increasing more strategic in how they market themselves. Among the most effective of the strategies is the grounding of Donald Trump and Hillary Clinton in brand archetypes. 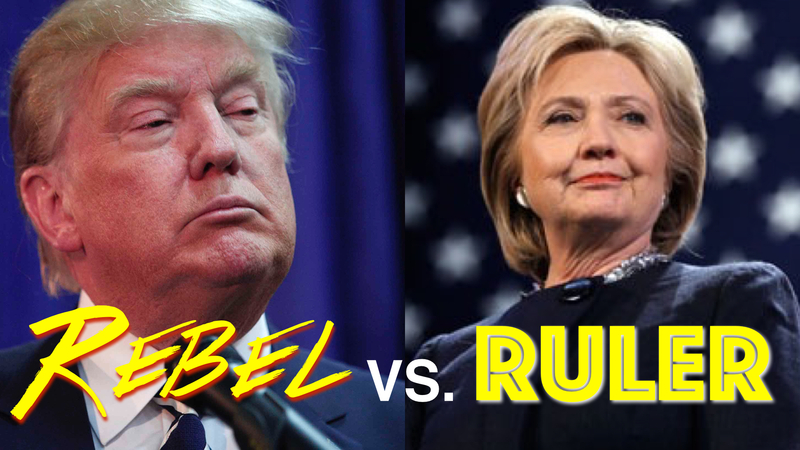 Trump is the Outlaw or Rebel, Clinton is the Ruler. 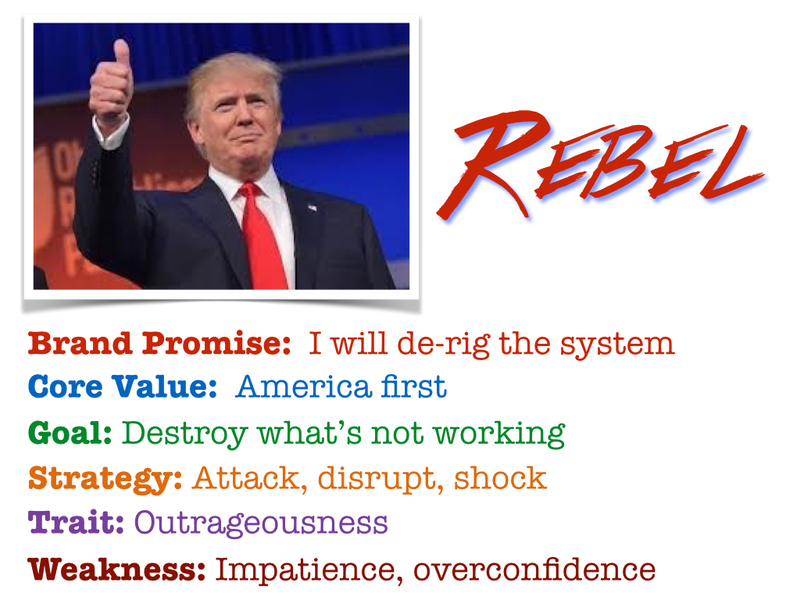 It’s hard to know if the Rebel archetype was made for Donald Trump, or if Trump was made for the Rebel. Either way, it fits. The “rules were meant to be broken” motto of the Rebel is exemplified by one of Trump’s recent Twitter posts. For most of Trump’s career he’s been the Magician. He’s the man who somehow overcomes all odds to create great deals and build great real estate properties. In the process he has built for himself power and wealth. For a while Trump re-branded himself as the Sage. As the star of the NBC television show “The Apprentice,” Trump dispensed his business knowledge to would-be students and potential employees. But with his presidential campaign, he morphed again into the Rebel. So far he’s effectively and brilliantly used his take-no-prisoners and break-all-the-rules branding strategy to overcome every opponent that’s crossed his path—including the Republican establishment. Trump’s entire career has shown how he has mastered the art of self-promotion. And in this latest incarnation he’s created a powerful brand of an irreverent leader who will stop at nothing to achieve his goals. (Figure 2) With his core value of putting America first, he’s crafted the brand promise of de-rigging this system—his way. The Rebel or Outlaw archetype is a strong attractor for people who feel left out and left behind by society. Following or identifying with the Rebel gives a feeling of liberation. Our culture is filled with Rebel personalities such as Madonna, Niki Minaj, Sean Hannity, and Bill O’Reilly. 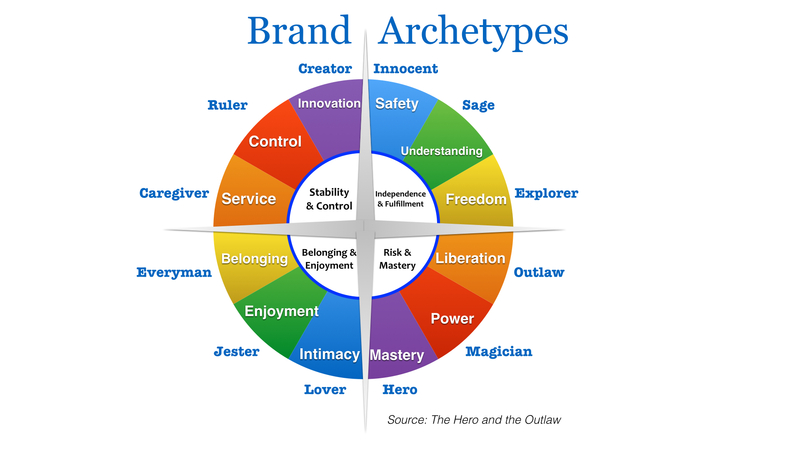 The archetype is also the core identity of many successful brands such as Harley Davidson, MTV, and Fox Television. In many respects Trump has become a California car chase—you know the outcome, but you can’t stop watching. 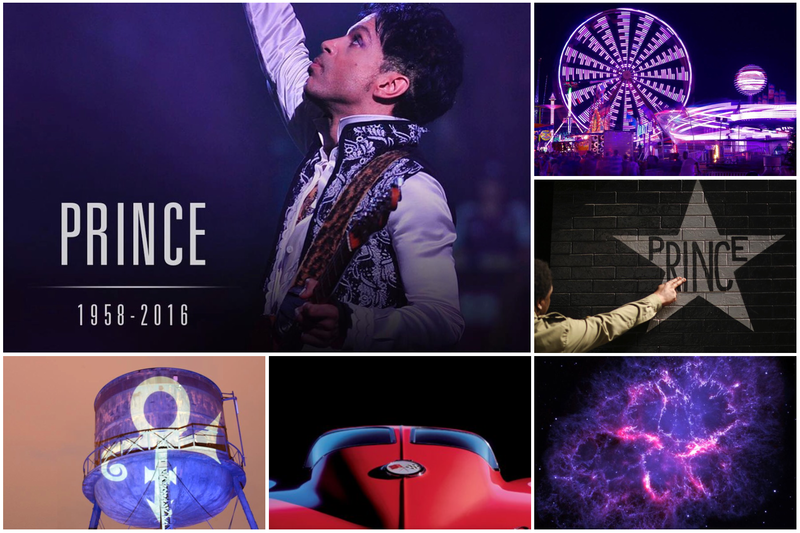 His unpredictability is a key part of his Rebel brand. He doesn’t just attack and disrupt Hillary Clinton, but he shocks his audience and the media. It’s a strategy he deployed in the third presidential debates when he promised to jail Clinton. For her part, Hillary Clinton with her experience as First Lady, U.S. Senator and Secretary of State brings to her brand expertise, power and control. She is clearly the Ruler. Rulers are motivated by their desire to lead and consolidate power. This is the archetype of CEO’s, kings, and yes, presidents. Ronald Reagan, former New York Mayor Rudy Guilliani, and former Ford leader Alan Mulally were all rulers. Ruler brands include Goldman Sachs, Cadillac, IBM and The White House. 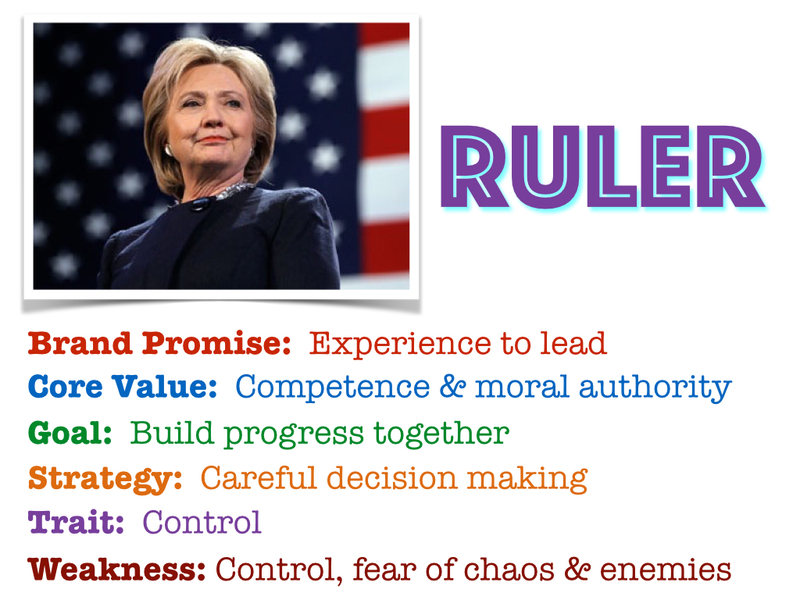 Clinton’s Ruler archetype mediates directly into her brand promise of experience to lead. (Figure 3) Her core value may be competence and moral authority, but make no mistake, she also needs control. That control is also the Ruler’s chief weakness, especially their fear of chaos and preoccupation with their enemies. In nearly every instance those traits of the Ruler have become Clinton’s chief liabilities in the 2016 presidential campaign. So far, her campaign has tried to use the archetype to their electoral advantage. Even with appealing to voters to “Stand with Hilary” they are inviting them to be the rulers of their own destiny. By pitting the Ruler against the Rebel, Clinton’s campaign is betting experience will trump recklessness and unpredictability. The strategy is clearly evident in this recent campaign video. The use of branding archetypes is all about strategically positioning an easily identifiable image in the mind of the consumer–in this case the voter. But with both Trump and Clinton the archetypes also magnify critical flaws with each candidate. Trump’s unleashed and undisciplined style expose him as a bully and sexist. Clinton’s Nixon-like desire for command and control, especially in how she’s handled her State Department emails and the Benghazi attacks aftermath have made her simply untrustworthy to a significant portion of the electorate. Come Election Day we’ll find out whether the dominant brand of each candidate is able to overcome their equally exposed flaws.